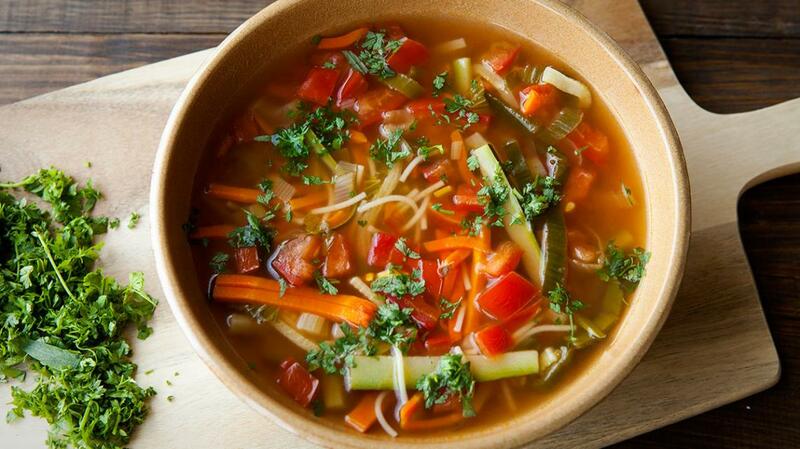 Cut all the vegetables into very fine julienne (except the tomatoes), cook the vegetables in vegetable stock until tender. Add salt and pepper. Let it boil again and then simmer for 15 minutes. Add the vermicelli to the boiling water. Remove all seeds from the tomatoes and cut them into pieces. When the soup is ready, add the diced tomatoes and tomato paste. Serve and garnish with the tarragon and chervil. If you use a julienne peeler you can reduce the preparation time from 20 to 5 minutes.